Thomas William Latchmore was born in Hitchin in 1882 or 1883 (both years are given in different documents), the son of Thomas Burwell Latchmore and his wife Catherine. His father was a photographer, and they were sufficiently well off to emply a servant, although you didn’t need to be more than middle class for that. By the time of the 1911 census, by which time he was living with his widowed mother and an older sister, the younger Thomas was described as a Photographer’s Manager. Thomas’s case implies the level of stress conscientious objectors remained under when they were granted temporary exemption, and many must have felt, like him, that they “wanted the matter cleared up now.” I haven’t been able to find the final outcome, but he appears nowhere in the World War One military records, which suggests he was granted civilian work. 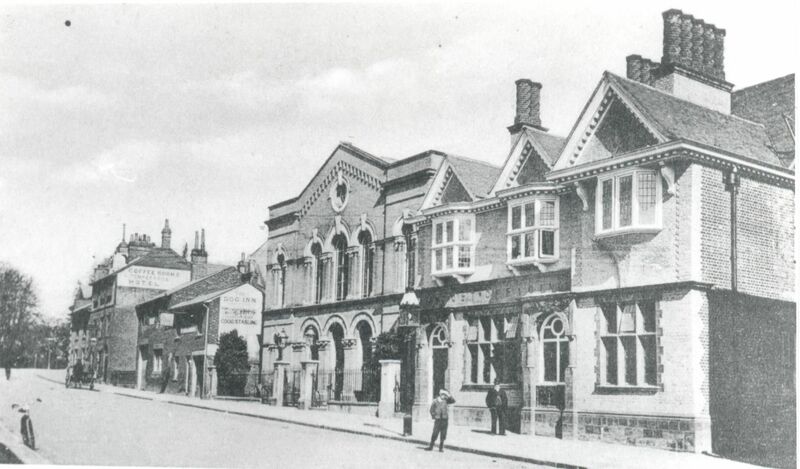 Thomas Latchmore died on 2nd November 1946, at the North Hertfordshire & South Bedfordshire Hospital, Hitchin. He appears not to have married, and the probate on his will estimates his effects at £471.17s.9d. Thos. Wm. Latchmore, Brand-street, Hitchin, appealed on conscientious grounds against the decision of the Hitchin Tribunal exempting him from combatant service only. He claimed complete exemption. He could not, he said, undertake non-combatant service in the Army. He could not subject his conscience under military control. The Chairman pointed out that appellant had temporary exemption till Aug. 2nd. Appellant said he wanted the matter cleared up now. He understood the military representative told the tribunal they could not grant absolute exemption. After consulting with Mr. G. Passingham, who was conducting the appeal, appellant said he would suspend his appeal until August. This page was added on 13/05/2015.